An Orange County lawmaker announced Wednesday that he has re-introduced a bill to exempt military retirement pay from state income tax collection, citing a study by the San Diego Military Advisory Council showing that California’s military retiree population is decreasing. Brough, a U.S. Army veteran who once served as the White House Liaison at the Department of Veterans Affairs in Washington, D.C., proposed a functionally identical bill a year ago. 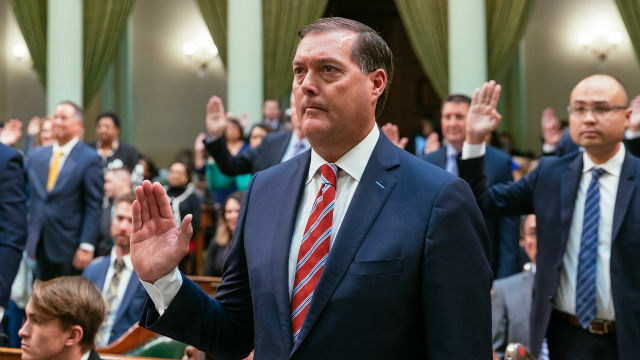 He expects AB 427, whose co-authors include San Diego area Assembly members Randy Voepel, R-Santee, and Marie Waldron, R-Escondido, as well as Sens. Pat Bates, R-Laguna Niguel, and Brian Jones, R-San Diego, to get its first committee hearing next month. Brough said a 2018 study by the SDMAC found that he state’s military retiree population decreased 16.8 percent from 2000 to 2016 while the country’s military retiree population increased by 16.5 percent over that same time span. According to the SDMAC, 31 states currently offer full state income tax exemptions for military retiree pay.